Water damage is a common problem with carpets. A small seepage for carpet can spoil the carpet fibers and make them give away their texture and strength. With time, they can wear down by regular traffic and you may end up losing your expensive carpets. The good news is that wet carpets can be salvaged but quick action is what is required on your part. Keep in mind; if you ignore water seepage for a long time, saving your carpets from getting ruined might not be possible. Within time, water damage restoration can work out best for you and we at Sunbird Cleaning Services offer you the best service in all Charlotte area. Water damage restoration of carpets depends on the type of water your carpets have been exposed to and the time period of exposure. Clean Water - Carpets damaged due to exposure to clean water through pipe leaks or flooding of room or basement can be saved if quick action is taken. The real threat for these carpets is the formation of mold and mildew. Mold and mildew are serious health hazards and once formed, carpets might have to be discarded. Clean water damaged carpets are the easiest to restore. Black Water - Black water is the water from a broken sewer or pipe. Sometimes, it happens that the water from a broken sewer pipe backs up into the basement and rooms subsequently. Carpets damaged by black water have to be addressed immediately owing to health reasons. Professional water damage restoration services would have to be called in since black water damaged carpets have to be carefully handled due to the risks of infection. Unsanitary Water - water leakage from the bathroom or overflow from toilet is unsanitary water. Unsanitary water may contain body fluids and hence is a serious health concern. 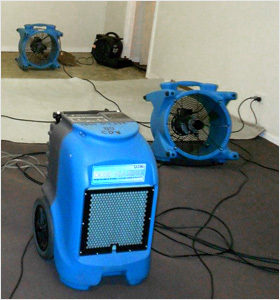 Professional water damage restoration service can come handy here. 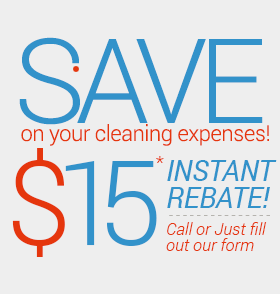 They can salvage carpets damaged by unsanitary water and ensure you get back your carpets in a healthy state. Sunbird Cleaning Services Damage Restoration Service Can Help! Sunbird Cleaning Services offer excellent and timely water damage restoration services. Our expert water damage restoration team would try to salvage as much of your carpets as possible. We would restore your carpets to pre-incident condition. Irrespective of the type or size of incident, Sunbird Cleaning Services assures you our full co-operation and sincerity. As leaking washing machines or refrigerators can give rise to mold growth, we perform mold remediation services as well. The areas are vacuumed and cleaned thoroughly. Sunbird Cleaning Services are also adept at restoring carpets soaked in wine. With Sunbird Cleaning Services professional equipment and expertise, we clean and remove stains from carpets and restore them to their original state. Just in case there is any emergency, Sunbird Cleaning Services having an emergency water damage restoration team at your service waiting for your calls 24/7.